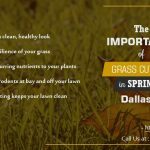 Hiring a lawn care company in Texas like every other activity has to be done with absolute care. There are guidelines to be followed to ensure that you get the best people to work on your lawn for you. If you are going to spend money on something like your lawn, it’s really important that you consider these points before hiring a lawn care company in 2019. In this post, we have discussed the checklists to consider before making a decision. We believe that you will not only find this information useful but quite expository on lawn care companies. Also known as the 3 Rs of hiring a service – recommendations, reviews and references serves to give you a clue about the reputation and quality of a lawn maintenance service before you, other clients must have used their services so if you are going to hire them, it bears importance that you check what they had to say about them. Reviews can be found online on review sites or on the lawn care company’s review page. However, care must be taken when it comes to reviews as there have been cases of doctored reviews. Your best bet is still to ask people around the neighborhood about the preferred lawn care company and why they use them. Word of mouth recommendations is still one of the most honest feedback methods. If they are good as they claim to be, people will recommend them easily. It’s as easy as that. 2.) How responsive and supportive is their customer support? It is easy to tell how great a lawn mowing company is when you check out their customer service. How friendly are they? How polite and open are they to inquiries? How fast do they respond to inquiries and issues? How fast do they resolve challenges? These and more are some of the things to look out for when looking to hire a lawn mowing service near you. Do they have a contact page on their website in case you are doing a search for lawn mowing online? In today’s business clime, service agencies should have an online presence, complete with email address, phone numbers, and links to their social media pages on their website. Failure to check out some of these issues might cause dissatisfaction when you need help but find out their customer service isn’t responsive, fast or reachable. 3.) Are they properly licensed and certified to run operations? Trust us, you wouldn’t want to get involved with an unlicensed and uncertified lawn care company. Why? They may not just be good enough as they claim or insured in case things go wrong. It’s always safe to find out what you are getting into before you do. Of course, the final decision is still yours to make on whether to go ahead with a licensed or unlicensed company. Using an insured and licensed lawn mowing company protects you from any eventuality that may not be favorable. 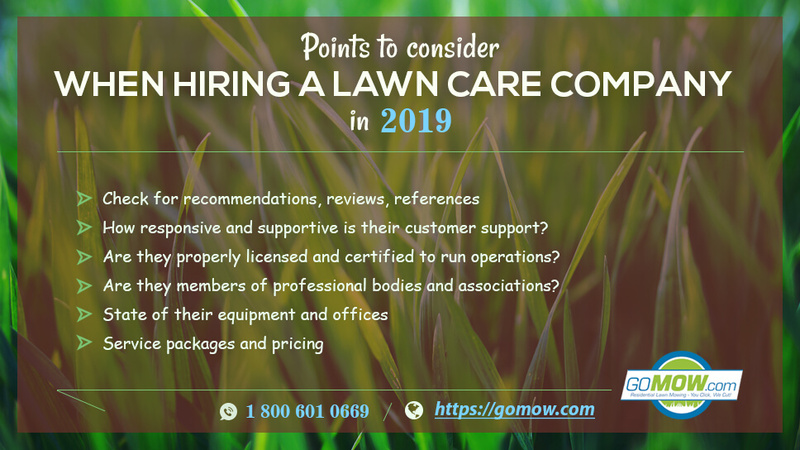 If you are going to hire a lawn care company in 2019, then simply do it right! 4.) Are they members of professional bodies and associations? This might not be mandatory per see but it doesn’t hurt if you go for a properly-vetted lawn mowing service near you that belongs to professional or membership bodies in the lawn care industries. You can take this to be a plus on your side, bragging rights even. Before deciding on a lawn maintenance service, a visit to their office can clear your head and give you a fresh perspective on what to expect. Likewise, you may also check out their equipment to see what they have and in what state they are. Clean, sparkling-new, well-maintained or old, rusty, poorly-maintained equipment? A clean and environment friendly office or a dusty, untidy place? You can tell by asking for a run-down of their place. Really good lawn care companies keep their places clean and their equipment well-maintained. After all said and done, the services available and their pricing are both essential to your decision-making when going for a lawn maintenance company in 2019. It is important that you carefully go through the offered services to be sure of what you are getting and at what cost. Pricing shouldn’t blow up your wallet so carefully review the services before signing a contract or booking service. 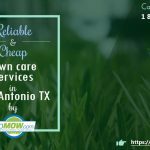 GoMow Lawn care services in TX offer different service packages with different price. Look out for bonuses and discounts and leverage on them to get the best service per money spent. There are lots of lawn mowing companies in Texas, following these points closely will push you towards getting a top-quality lawn care services company in 2019. 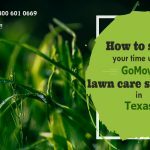 If you need for lawn care services in Texas to get started with GoMow Lawn Services & click below to get FREE QUOTE.